Gwynn was formerly a commercial partner with a large firm of solicitors in the City of London and has an MBA from a well known business school. He undertakes civil, commercial, employment, regulatory and family cases. He is authorised to undertake public and direct access cases by the BSB. 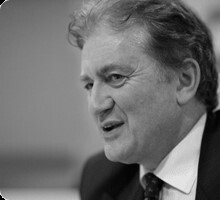 In professional conduct issues he has advised a large number of doctors and consultants and appeared before the GMC, Employment Tribunals, the EAT and the Court of Appeal. He has also represented dentists and veterinary surgeons. Gwynn was a part-time employment judge for over ten years. He has been before the Employment Appeal Tribunal, the High Court, the Administrative Court, the Court of Appeal and the Divisional Court, on many occasions, representing employers and employees, as well as before Employment Tribunals throughout the country. Several cases have involved public law and human rights issues and he has acted in complex discrimination disputes. He advises on (and drafts) employment contracts and is a member of the Employment Lawyers Association and the Employment Law Bar Association. He also does public and direct work. He has post-graduate qualifications in Employment and European Union law and has lectured part-time. Gwynn Price Rowlands mainly undertakes matrimonial finance and ancillary relief cases and has done research into recent developments in this area of law at the University of Bristol. He has a particular interest in ante-nuptial agreements and cohabitation cases. He also does children’s applications (public and private law).